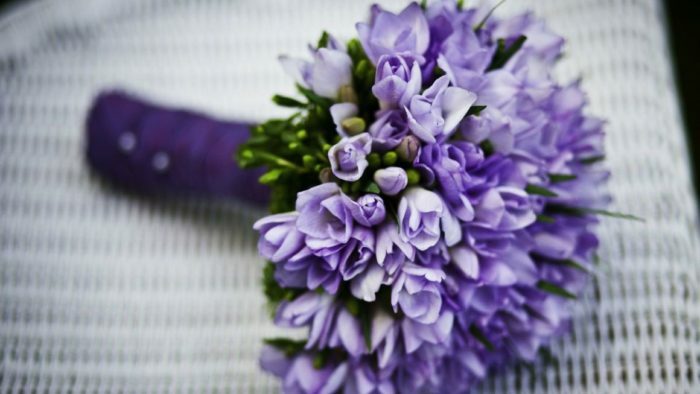 Spring is the quintessential wedding season. The flowers are blooming, the sun is shining, and the air is filled with a fresh bout of sunshine and perfectly welcoming temperatures. 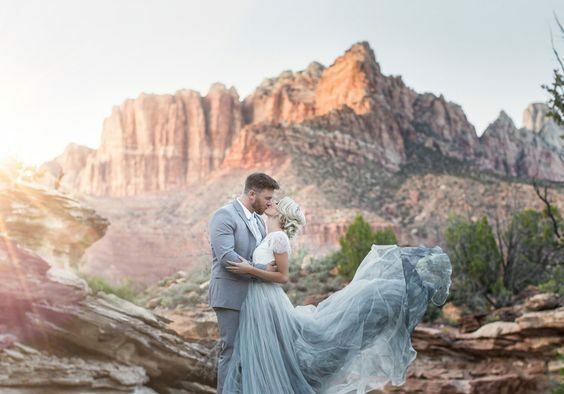 There is so much romantic and fairy-tale quality surrounding these three months of lively beauty – which is why it’s such a beloved time of the year to exchange vows. 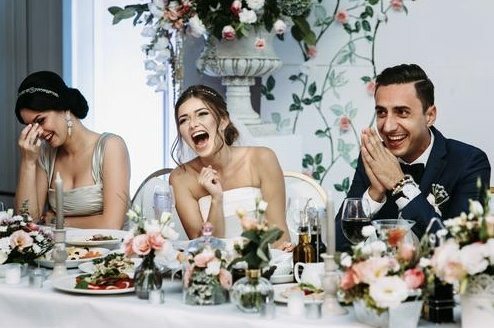 But because of the tradition surrounding a spring wedding, there are a lot of trends and kitschy details that brides get trapped in. 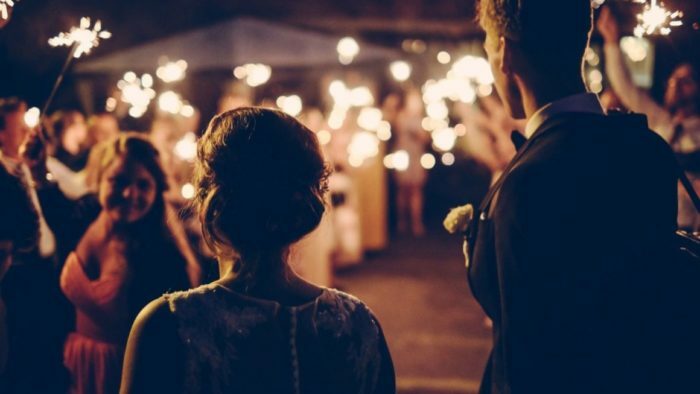 Which is why we’ve created a list of 12 spring wedding ideas that you’ll love, without becoming a Pinterest-copied, unoriginal event. These bouts of inspiration can be personalized and have a modern, unique quality about them while still embracing the stunning accents of the season. There’s something really classic about a springtime wedding with a brunch theme in place. 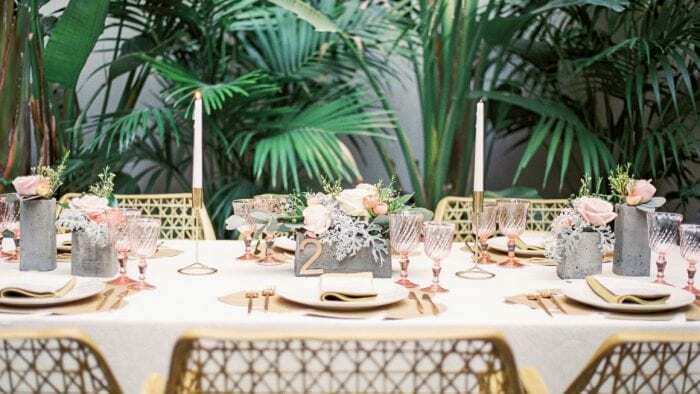 Instead of going all out with a formal, sit-down dinner, embrace the sunshine and set out on a celebration that uses the beautiful, seasonal days as a part of their tablescape. 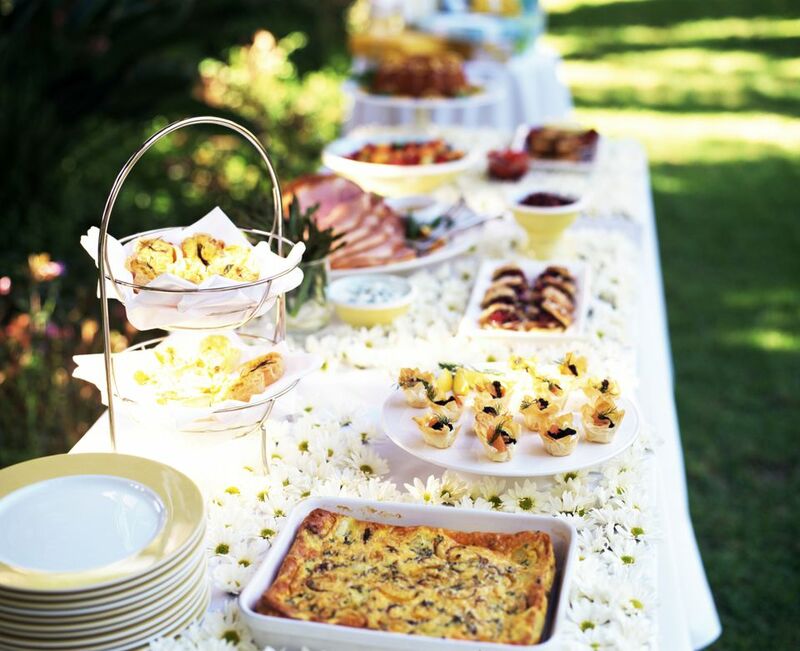 Commit to throwing an A.M. wedding by amping up the party with some of the best treats around; which definitely includes a brunch spread. Mimosas (of all flavors), mini pancakes, quiche, bacon-wrapped everything, crepes, donuts, and more may round out your menu. 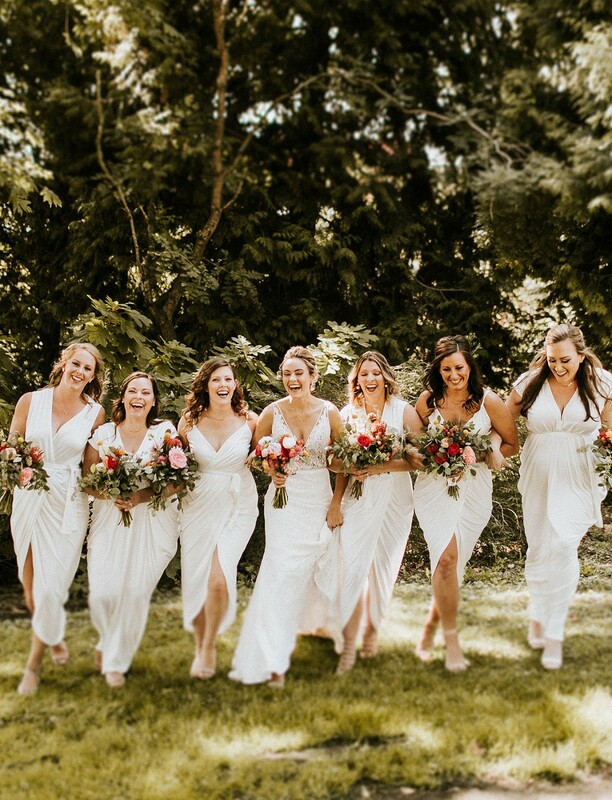 Instead of using Easter as your inspiration for the bridal party attire or the palette of the day, go with something a bit outside-the-box. Think about using subtler, more romantic shades instead. Muted tones like sage, mauve, and others will create a more sophisticated look. 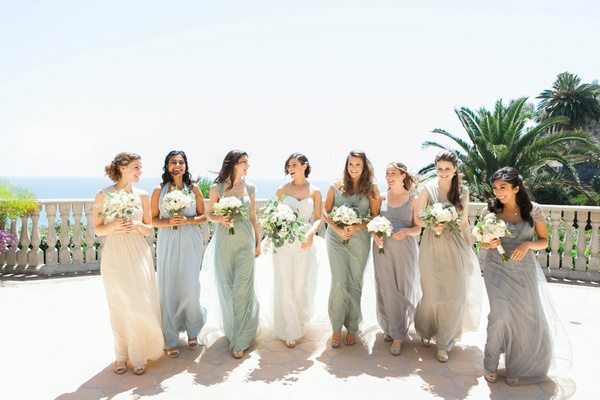 Your bridesmaids will love you for it too because their gowns won’t end up looking like kitschy, traditional dresses. And the florist will get to have a bit of fun with you too. 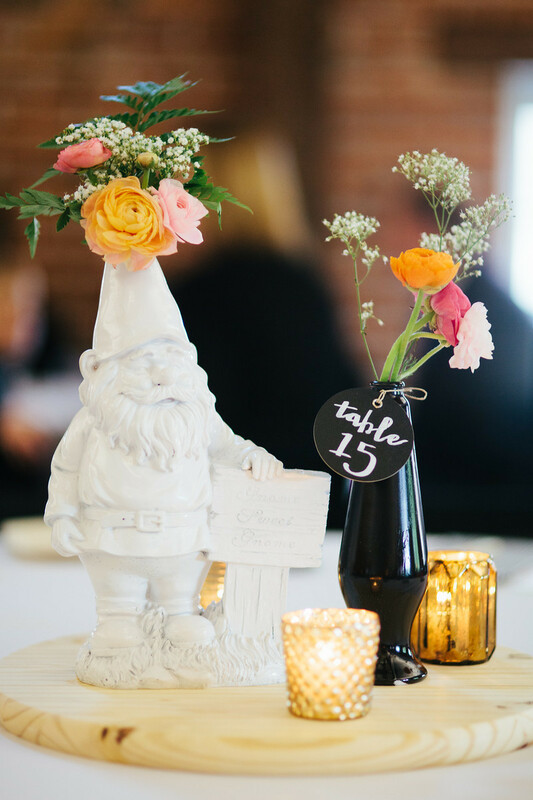 Whether it’s using a garden gnome as a centerpiece or adding a basket of bug spray to the gift table for everyone to grab and use, add a bit of humor to your day. This makes everything more personalized and adds a light and airy feel that springtime weddings naturally have. And that’s only the tip of the iceberg. Really, don’t be afraid to truly add a personal touch to any part of the wedding that you choose. After all, this is your big day. For a more modern scheme, go with all acrylics. 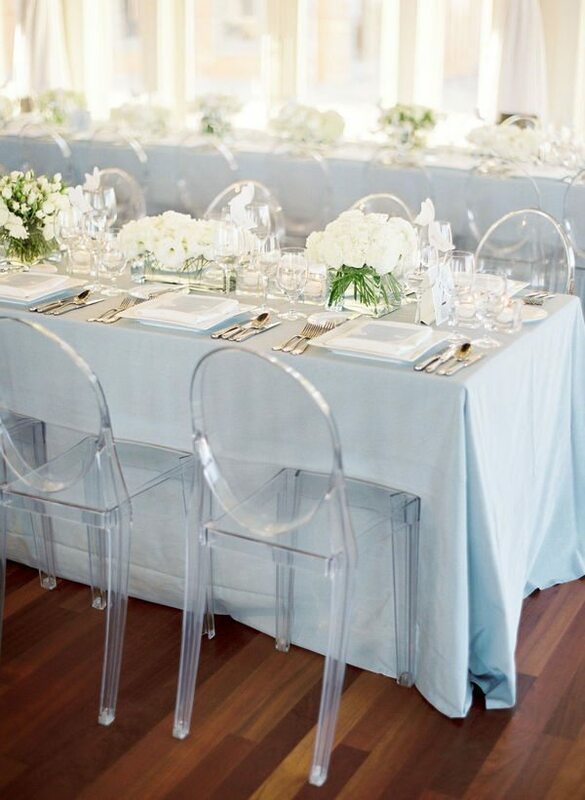 Ghost chairs and glass tableware, this “crystallized” look will highlight the colors of the day as well as the textures you’ve chosen. This is also a great way to bring more attention to your floral choices and the venue. Everything will have a chicer, more refined presentation if you go this route. The clutter and “chaos” will be eliminated. Yes, this is still a thing and it’s a still a thing that you should think about incorporating. Why? 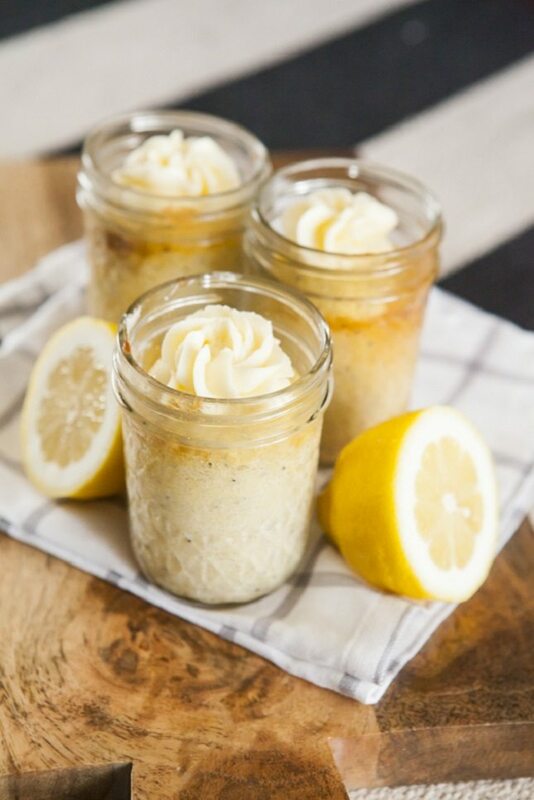 Because it’s delicious, it’s easy for the guests, and it’s one of the most affordable ways to send off treats with your loved ones. Think about choosing flavors that speak of the springtime. Lemon, cherry, and of course peach, are just some of the fan favorites that we love. Pardon the pun but, don’t shy away from the seasonal decor. At least when it comes to springtime, it’s never overdone. 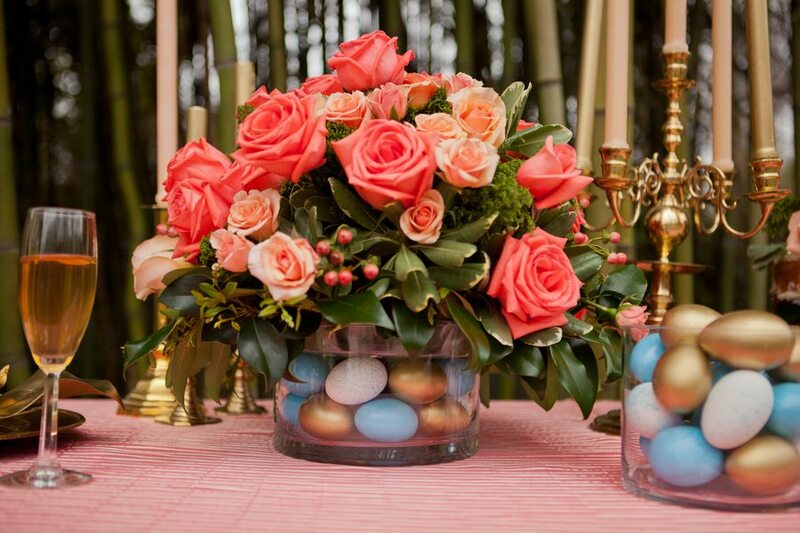 So, even if you’d be afraid of going with a Halloween-themed wedding, a few eggs to pay homage to the springtime will only add a bit of girlish charm to the overall look of the day. The centerpieces, the place settings, there’s even cool ways to incorporate them into the favors of the day. There’s a lot of wiggle room here. 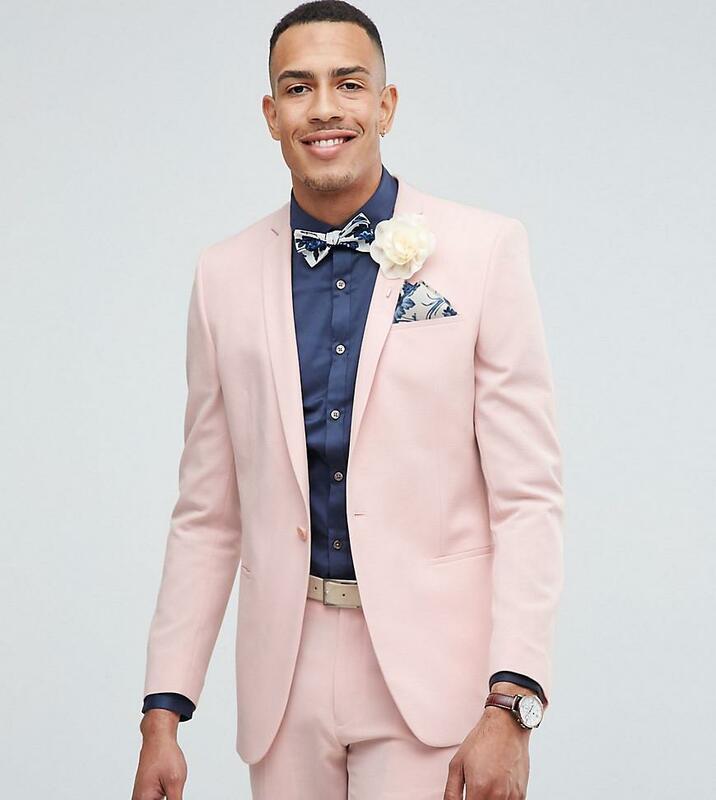 To really put your mark on the day, explore suits that are out-of-the-norm as well. Colors like blush, navy, or even gunmetal blues are all a stylish way to personalize. You could even have your beau dress in a printed design if it seems to strike his fancy. And don’t worry about “trends,” or going out of style. This day is all about you and going for something as bright and vivacious as your spring wedding date will never be a bad idea. Go lush with a bout of spring-inspired flowers. 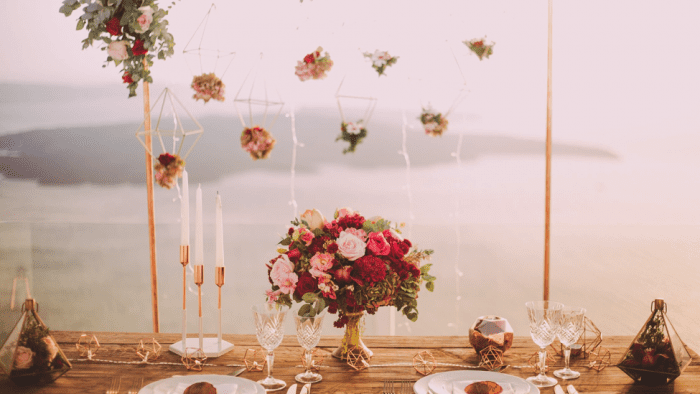 These floral garlands are still all the rage in the wedding world but they’re especially nice in accompaniment of a springtime affair. 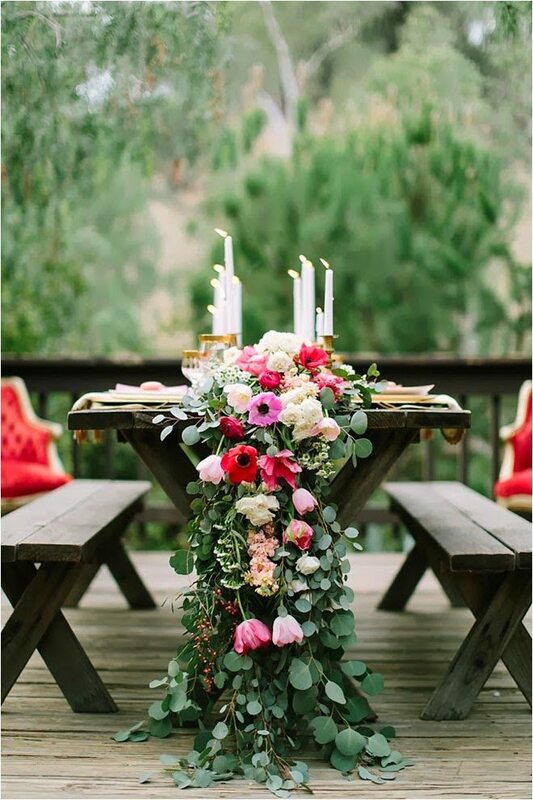 Vibrant colors and lots of greenery will make those tables at the reception pop. Of course, they can also accent the banisters and ceremony arches quite nicely as well. You can even DIY some of these beauties if you’re feeling creative. Who says your gals have to wear color? Instead, why not create some gorgeous photo-ops by dressing them in white alongside you? Or, you could always dip yourself in a stunning color and have them slip into a crisp ivory. This isn’t a new idea but it’s one that’s super underrated. Dressing in these creamy, white tones will make any of the other colors surrounding your day pop even more. Of course, you may use fruit in your menu but why not use fruit in the day’s decor? Springtime is a great time for these nibbles and they look stunning as centerpieces or other bits of decoration around the celebration. 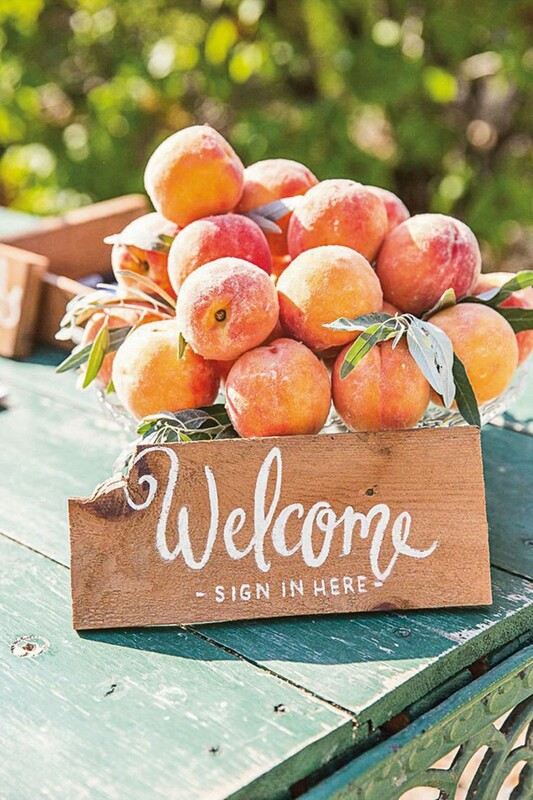 Whether it’s a collection of peaches at the welcome table or a vase full of lemons at the ceremony, it’s a wonderful way to pay homage to the season and add a unique touch to the day’s events. 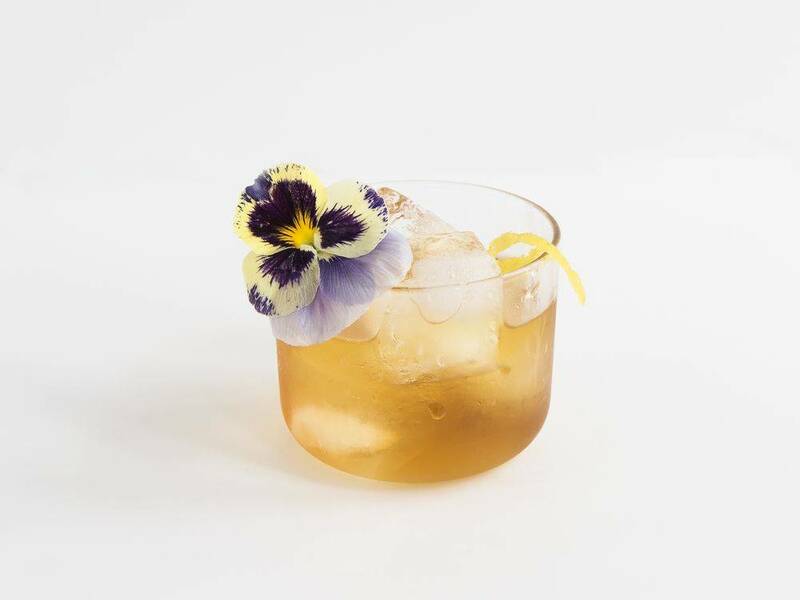 Jazz up your cocktail with some fresh petals. Take an old-fashioned to the next level or even a glass of champagne to another height. Roses, lavender, and the like are known for creating some pretty delicious sips. You’ll have a lot of fun taste testing with this one too. There’s even an opportunity to make an entirely new concoction and mark it as your “signature” for the day. You could always go the tropical route as well. It’s still very in the season but it’s a quirkier take on what we’re used to seeing throughout the springtime. 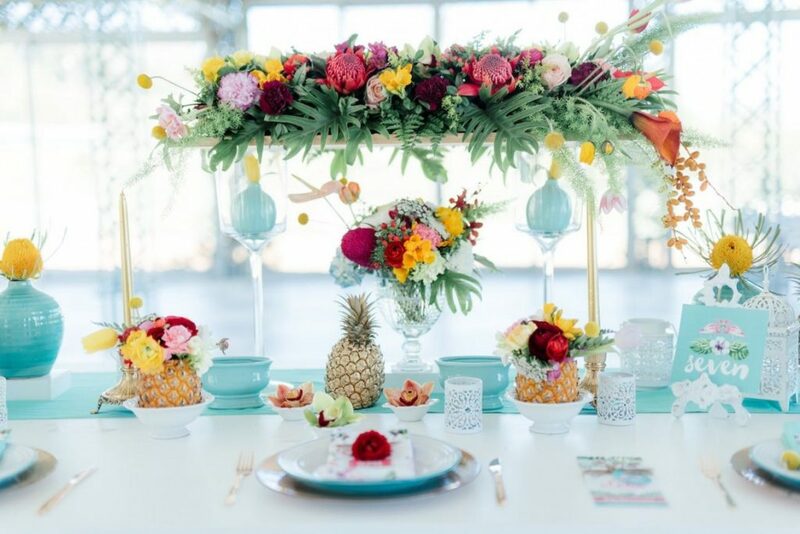 Think about added pineapples, palm leaves, and nixing the pastels to go with vibrant shades of fuschia, yellow, and orange. This is particularly great for those that want a lively, more youthful atmosphere.